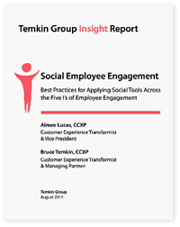 The Temkin Group Insight Report is full of examples of how organizations are implementing and succeeding with the 5 I’s of employee engagement. According to Temkin Group research nearly half of organizations report that their employee engagement efforts are weak. Whether impeded by an unclear employee engagement strategy, inconsistent buy-in, or lack of ownership, organizations not focusing on raising employee engagement are missing out on the value an engaged workforce provides. Engaged employees are twice as likely to try their hardest at work, over three times more likely to do something good for the company that’s not expected of them, and five times more likely to recommend a friend or relative apply for a job at the company when compared to their disengaged peers. Provide employees the information they need to understand the organization’s vision and brand values, along with how customers feel about the organization. Employees need a consistent and persistent flow of communications about company priorities and what’s expected of them. Best practices include following a thorough communication plan, making content employee-centric, and creating opportunities for employees to hear from customers. Incorporate social tools to add interaction to internal communications, amplify executives’ presence across the organization, and enlist employees at all levels of the organization in communicating. Best practices include launch company-wide CX training programs using managers and front-line employees to deliver training programs, and develop specific training for manager and supervisors. Social tools can be used to connect employees with expertise beyond the boundaries of training by supporting on-going learning, supplementing online resources with peer guidance, and getting new hires on board faster. Best practices include developing a ‘Voice of the Employee’ program, facilitating cross-role, cross-functional employee connections, and inviting employees to thank customers. Leverage social tools to tap employees for input on innovation and problem solving, match personal interests with company needs, and use social ambassadors to lead the way. Best practices include providing on-the-spot rewards, celebrating high-performing teams, and turning employee engagement into a management metric. Social tools can play a key part in highlighting behind-the-scenes heroes to the rest of the organization and creating opportunities for peer-to-peer recognition. Success in raising employee engagement using the Five I’s is a team effort. It requires a shift from narrowly focused, occasional actions to a sustained commitment to living the Five I’s across the organization every day. Those that make the commitment will find that its tough but worth it—benefitting from not only more engaged employees but better customer experience and financial results. 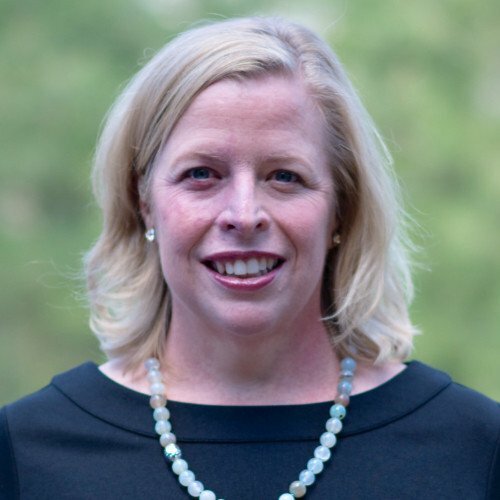 Aimee is the author of the latest Temkin Group Insight Report. It is full of examples of how organizations are implementing and succeeding with these 5 I's. Its normally $195, but free to our subscribers.